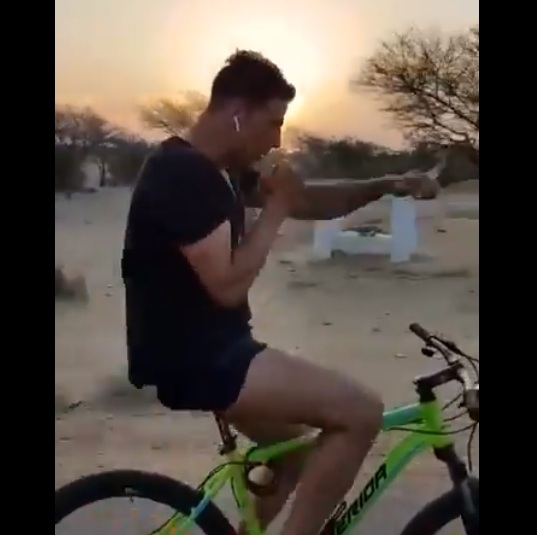 Akshay Kumar gives Killer Fitness goals as he does Air Punching while Cycling! Akshay Kumar, at the age of 51, still has always been one of the fittest actors in the Bollywood industry. He shares a video via Twitter his workout routine while cycling where he also practices air punches on the way. He has also advised his followers not to try this on the roads. The actor possesses a black belt in Taekwondo. He studied martial arts in Bangkok, Thailand where he learned Muay Thai. Akshay has big projects lining up in his kitty bag. The magnanimous 2.0 will come out on November 29, 2018. Kesari is another which will be out in March 22, 2019. His last movie Gold was successful at the Box Office. Please give your fans a well made axionaire .